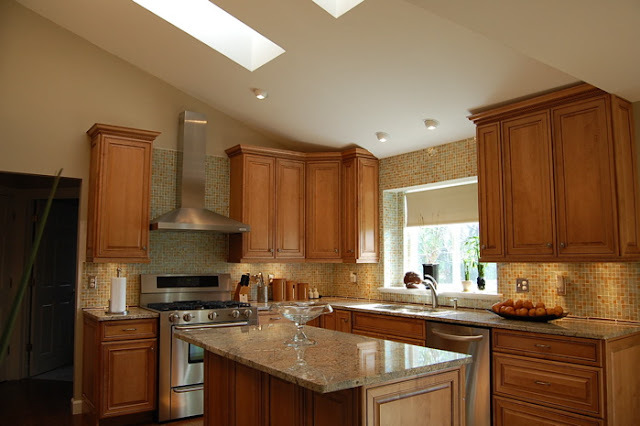 The Granite Gurus: FAQ Friday: What granite would go with natural maple cabinets? 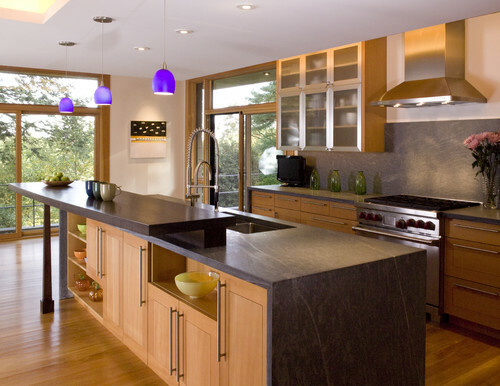 FAQ Friday: What granite would go with natural maple cabinets? Today's question comes from one of our readers, Donna. "... I am stumped on what to put with my natural maple cabinets. I have a taupe-y tan beautiful backsplash now with... pewter dark gray cabinet knobs. They are beautiful and high quality cabinets but nothing seems to go with them!!! I really cannot change the splash at this point as it is the second one I have had in and it was expensive. It's neutral enough to go with many things. I hate to just be predictable and go with a black, I like the lighter colors of granite and with pattern and movement, and not the common ones you see so much. ... I hear other people lamenting the difficulties of finding something that goes well with natural maple. I think the black granites with it look so '90's, lol. 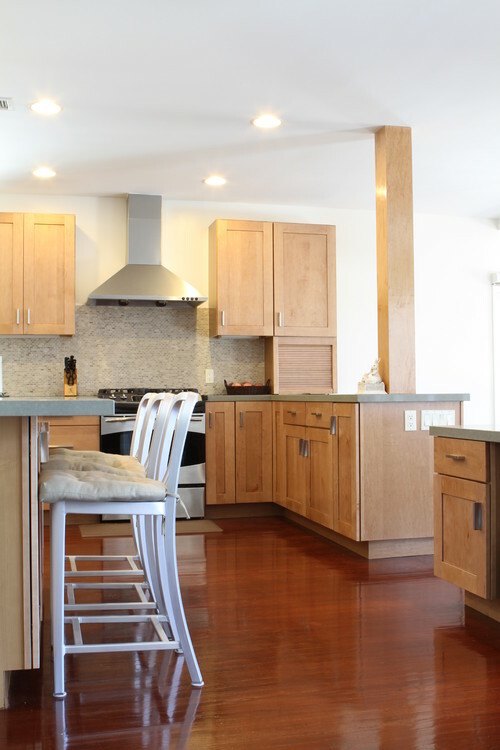 ...I thought maybe you would know what goes well with natural maple traditional cabinets with a contemporary twist. ... The cabinets do have movement in the wood on their own so that limits the choice as well. This is really hard!!!" 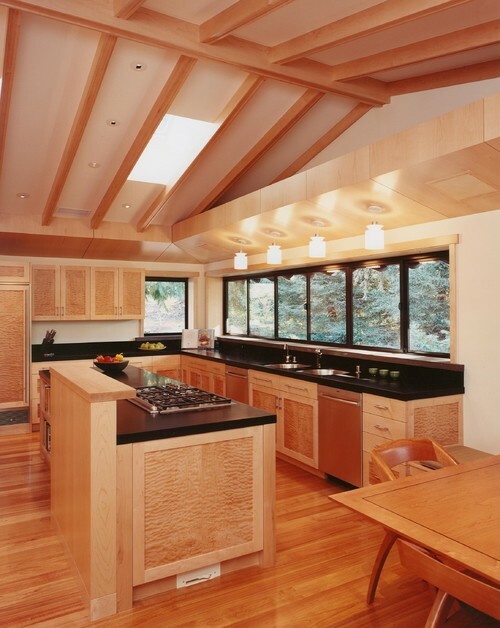 I do get asked pretty regularly about what granite looks good on maple cabinets, so I thought I'd answer Donna's question here. While it's hard to make suggestions without seeing the room in person or in pictures hopefully I can make a few suggestions that will help! 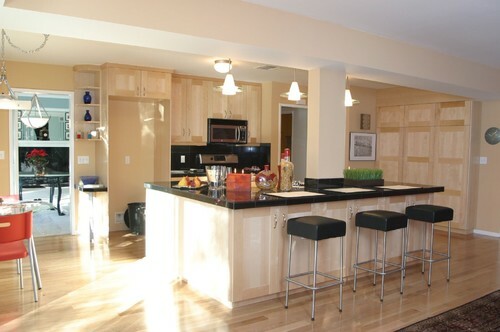 I personally really like whites and greys on natural maple cabinets. It's a clean and more modern look. 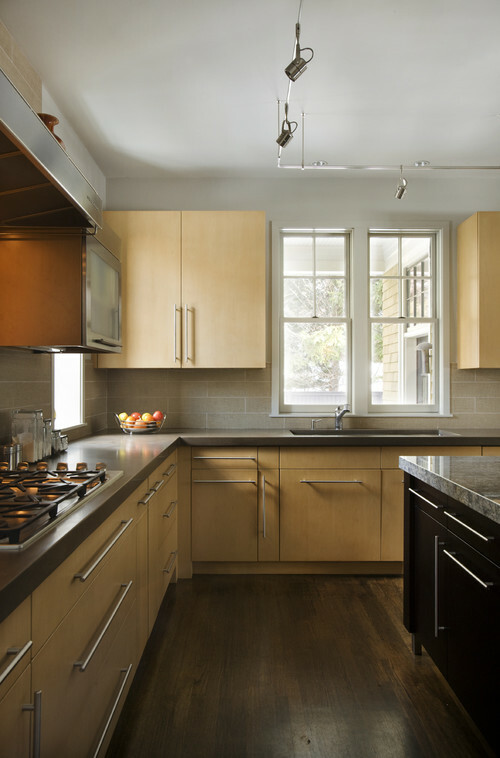 One of my favorite kitchens I've ever done was natural maple cabinets with Pietra Cardosa countertops. 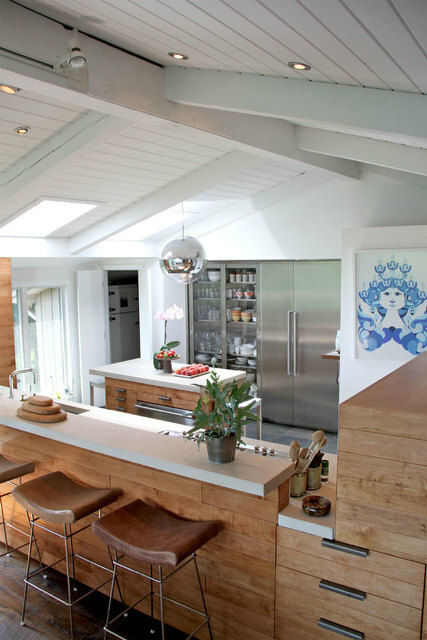 For white countertops I'd suggest CaesarStone's Blizzard (quartz), Carrara marble or Kashmire White granite. 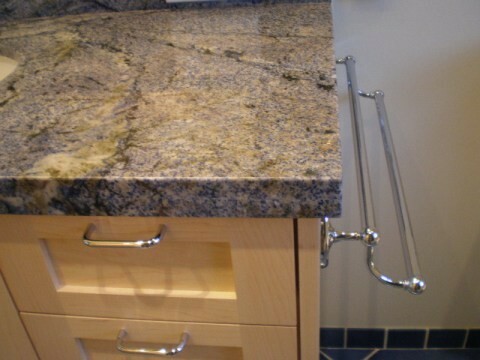 My last suggestion is finding a medium toned granite that has greys and golds. Colors like Juparana Fantastico, Taupe and Typhoon Bordeaux would all be really pretty. eclectic bathroom design by san francisco design-build On The Beam Remodeling, Inc.
Good luck Donna (and all you other reader's who have natural maple cabinets)! I'm sure you'll be able to find something beautiful. Personally I like dark tops, I would go with Wallace Creek from Polycor. Thats my favorite color (or course, I cant be objective, im a Polycor girl). Good suggestion Melissa. That Wallace Creek is really beautiful!